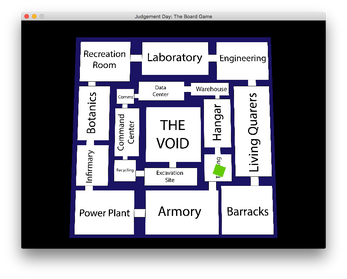 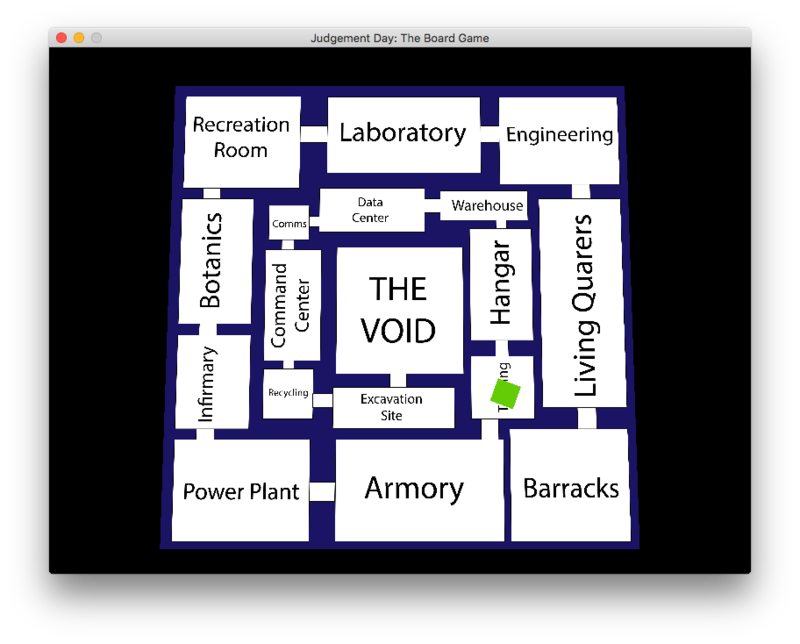 Judgement Day: The Board Game is a project made for LD41 based on the theme "Combine 2 Incompatible Genres". 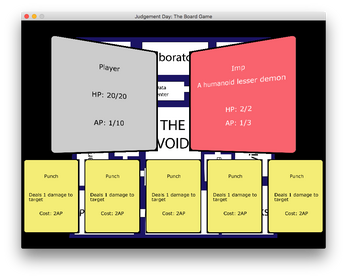 In the game, you play as a space marine stranded in a base on Mars which was overrun by demons from another dimension. 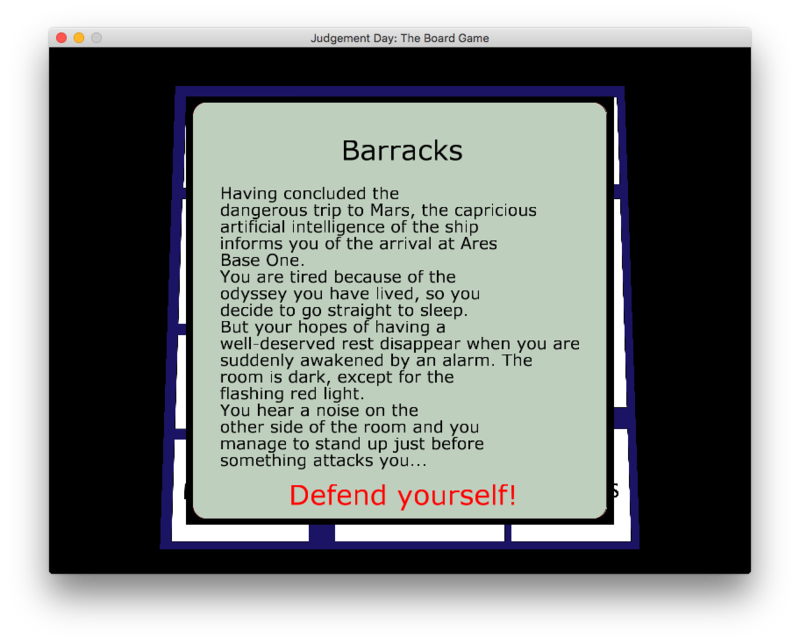 Fight your way out to uncover the truth. 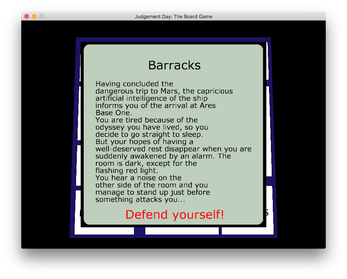 The game is a mix between board-game and action. 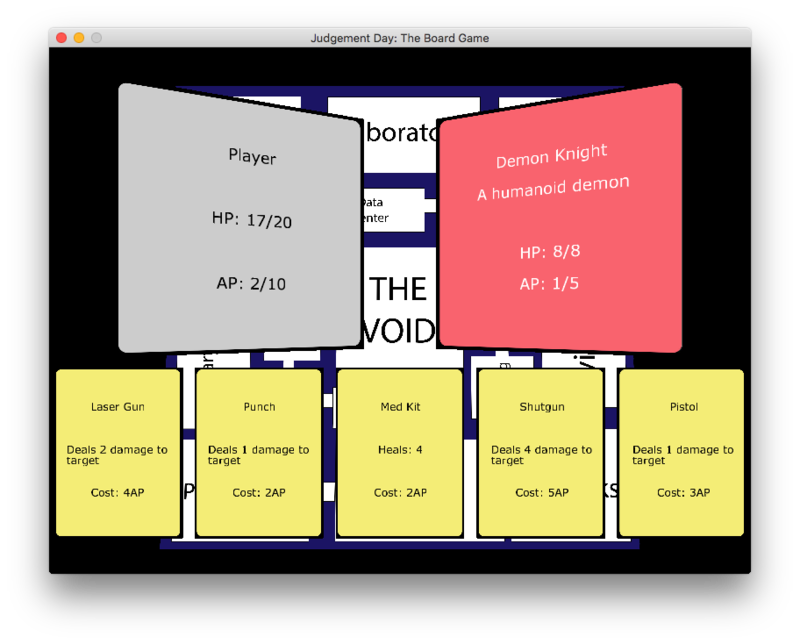 Combat uses card and a real-time system.